Ordinarily, they would’ve been drinking. But Harper was feeling poor and her daddy always said, “No good comes from drinkin’ to drown” and so when Melody picked the 6-pack out of the fridge and held it up for inspection, Harper shook her head. Melody just shrugged and put it back. She didn’t say a word. She was good that way. They sauntered out into the night and hopped into the truck (red, Mel’s brother’s, apple of his eye) and Harper felt the cashier’s eyes on them as they pulled out of the lot. She averted her eyes from his gaze. They drove some because every time Mel paused, Harper shook her head. “Nope. Too close.” They were six exits from home when Melody hit the signal on the dash. “I’m not driving to Oklahoma tonight, H. No boy is worth that.” Harper let her go and they swung off the highway and onto a dirt road. It turned out to be a good spot but that was Melody’s way- she always ended up better than what she was trying for. By the time she’d pulled the truck to the side of the road and hopped out, Harper was nursing a sulk on top of a funk. The two girls climbed into the bed of the truck and sat up against the rear window, side by side, the way they used to when they were small and their fathers would take them on trips into the high desert to search for salamanders and medicine men. Melody assembled the bags between them and made quick work of what they needed. She picked up the lighter and set it to light and carefully held the shmallow over it. Together they watched it blacken, Melody swearing over burnt fingers, and then she did another one. They ate them under the stars. And they were very, very good. Some reactions are immediate. When our friends at Eat Boutique (oh hai, the holidays are going to be here soon? So maybe start buying things? Just a thought. Bookmark that shizz, yo.) 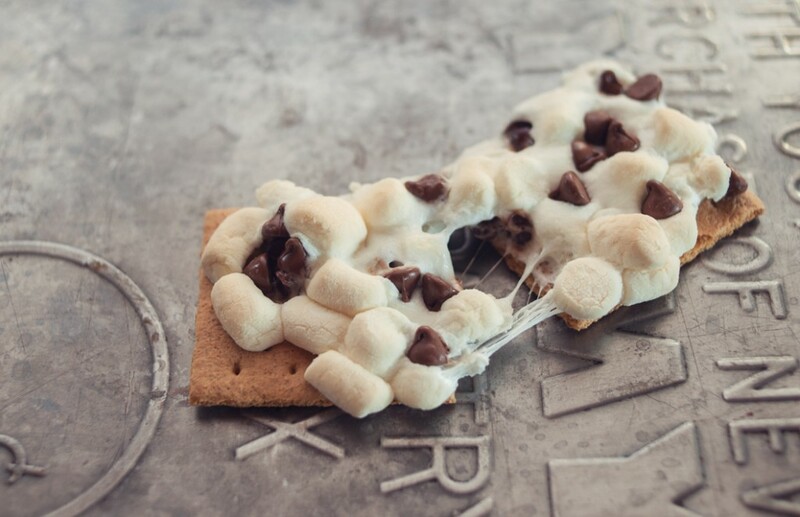 featured a “S’Mores Pizza” on their blog last week, I threw up my hands, deleted a (disgusting in practice/delicious in theory) cookie-in-a-mug recipe and replaced it with the beast of a campfire dessert that you see on this website right now. And apparently Nicole had the same reaction because HERE WE ARE. EATING S’MORES LIKE A PIZZA. LIKE A BOSS. 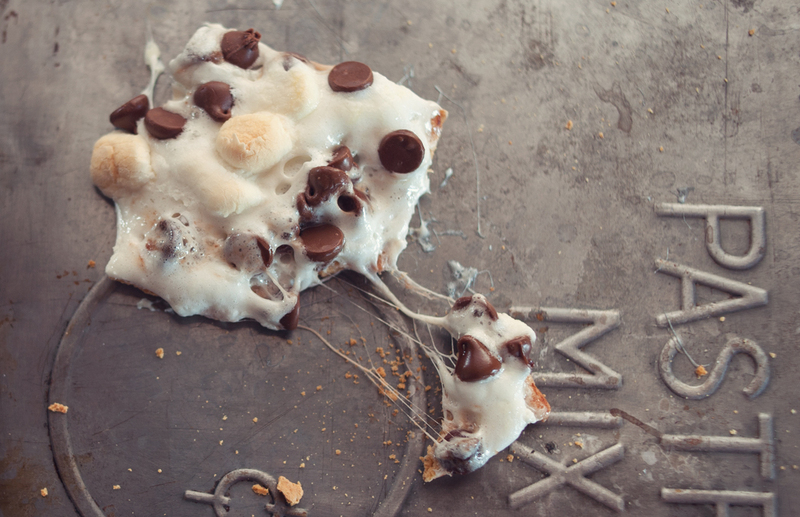 S’MORES PIZZA BOSS JUDI OUT IT’S FRIDAY. 1. 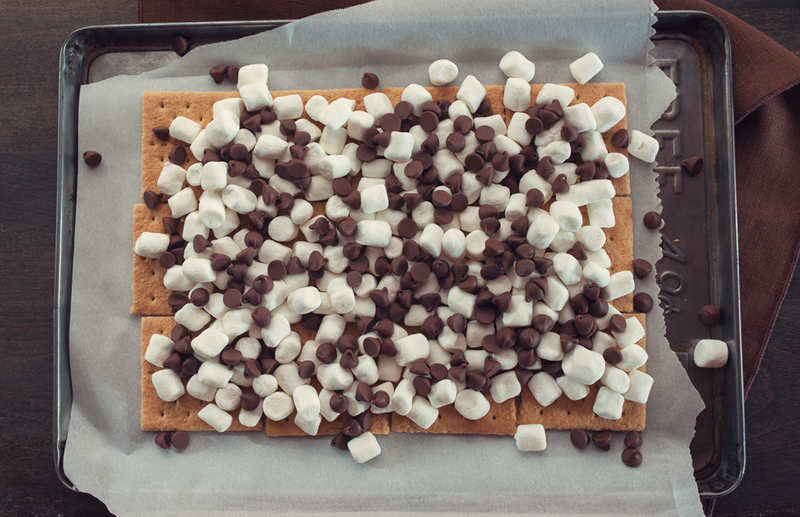 Line a cookie sheet with parchment paper and lay out your graham crackers, putting your “slices” together. Top with miniature marshmallows and chocolate chips. 2. 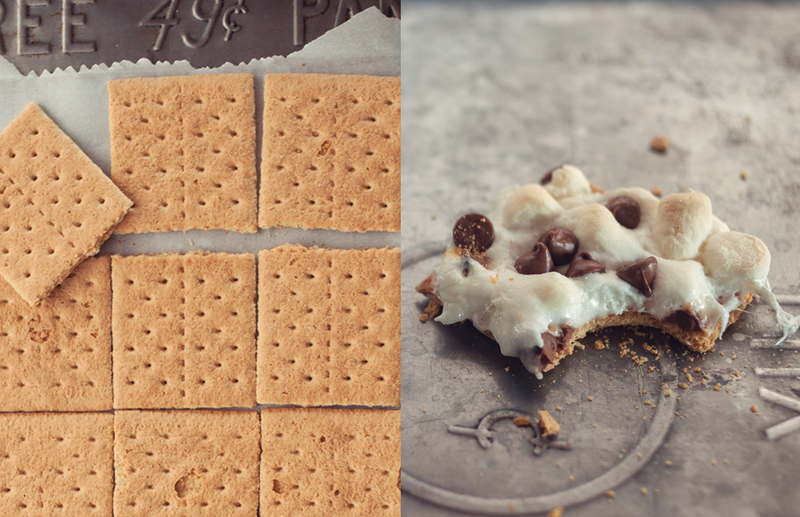 Bake at 300°F for about 10 minutes or until marshmallows start to brown and everything is melty wonderbar! 3. Place tray on table. Watch people lose their minds. Oh my gosh. There aren’t even words for this. I need to make it immediately. Step 3 cracked me up! wow, this looks fab. Love the first photo in particular. I saw this before I read the title and was like… what is it?!?! I want it!! 2. It’s SO EASY to make I could die. 3. I HAVE ALL OF THIS STUFF AT HOME ALREADY! The deadly trifecta. Time to go home and eat a box of grahams, a bag of mini mallows, and a bag of chocolate chips. Maybe I can invite some people over to help me eat it….